But past the lyrics giving "praise" to Satan and his minions, Goatwhore is a band that can really play. And they have a groove. In "The All Destroying" they punch the E chord to kingdom come, giving the listener a chaotic but groovenous beer and amphetamine fueled hellride. "Shadow of the Rising Knife" has a great break where the guitarist cuts through with a solo that sounds like it was recorded outside the great pyramids. All in all if one wants pure evil in their metal, give Goatwhore a call. I've never slayed a dragon let alone seen one so I've never been a big fan of Ronnie James Dio. Dio has reunited with the remaining members of Black Sabbath to form Heaven n Hell. The name change is for legal reasons. I guess Sharon Osbourne bought the rights to the Black Sabbath name. The release of this CD might be for money reasons. Tony Iommi might need to make a payment on his castle. And in today's economy making money is tough. But the economy is no excuse for this lethargic release. Yeah Dio's voice is in top form, and Iommi's lead playing is still there. No one and I mean no one can write a riff like Tony. But the song writing is just poor. Even the song titles show a lack of imagination. "Atom and Evil", "Eating the Cannibals" - my aren't we witty. These guys are not giving Oscar Wilde a run for his money. The riffs are faster, but not better. So there isn't any song I can recommend except "Bible Blue" which is saved by a good Iommi solo. If you're a Black Sabbath fan, pass this up. Put it right back on the shelve, there you go. Now run out and buy Goatwhore. Alice n Chains is one of the reasons why the 90's were so great for music. Yeah supposedly grunge destroyed Metal, but Metal in the early 90's consisted of Warrant, Poison, and a deluge of hairbands. But I digress. 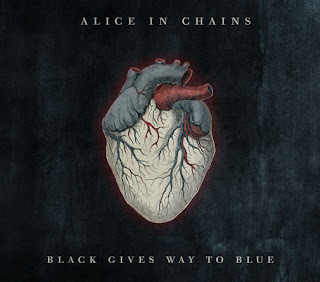 Today's Alice n Chains is not "New and Improved" but sounds as if remaining band members pulled the posthumous tapes of Layne Stanley and put music to them. Well, they didn't. It's the combination of new vocalist William Duvall and Jerry Cantrell's guitar playing/song writing that makes it sound so much like old Alice n Chains. Just listening to the opening track "All Secrets Known" will bring goosebumps to any fan. Duvall sounds so much like Staley it's scary. In fact in every song Duvall eerily like Layne Stanley. Listening past the vocals, the guitar playing is good on this recording. Just what you'd expect from Jerry Cantrell. The stand out track is "Check My Brain", which could have been easily put on DIRT. The riff is heavy, saturated with distortion and has a plummeting bass line. In the end, new singer Duvall doesn't really come into his own, but if you love Alice n Chains you'll dig this. Many say Slayer hasn't released a good CD in years, that they have been around too long and are past their prime. Well this release has just proved them wrong. 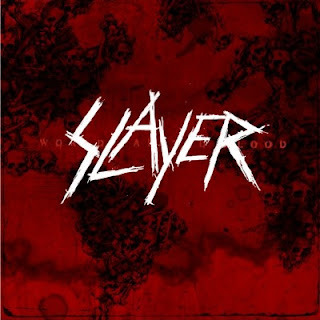 Every Slayer album has had 2 or 3 good solid songs with the rest of it sounding like well, Slayer. This CD is rife with good songs. World Painted Blood is Slayers latest effort and it show's that the boys from L.A. are back and better than ever. 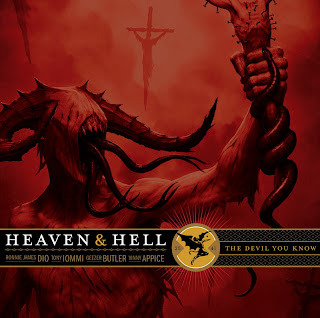 The title track is a Slayer classic with a mid section reminiscent of "Angel of Death". "Unit 731's lyrical content pays tribute to the same song, this time giving the Japanese their due for the horrors they inflicted on the Chinese and other Asians of the nations they conquered during WWII. All in all Slayer has put out a great package, one of their best since Seasons in the Abyss. Sure it's not Reign in Blood, but this is not 1986 either. "Americon" is the standout number on this release. Heavy and fast, it satisfies everything a Slayer fan could want. The speed, riffage and solos are all there to make this a classic Slayer CD.